Action movie legend Jean-Claude Van Damme (Bloodsport, Timecop, JCVD) is back in one of his toughest roles yet... 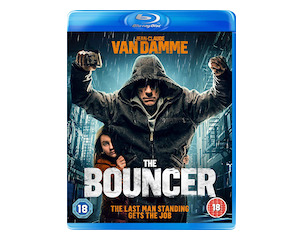 The Bouncer comes to Blu-ray, DVD and Digital Download on April 8 from Dazzler Media, and we are giving YOU a chance to win a copy on Blu-ray. 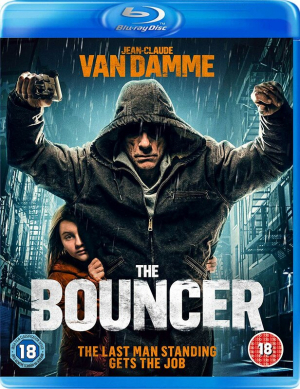 In The Bouncer, Van Damme stars as Lukas, a tough nightclub bouncer struggling to raise his 8-year-old daughter. One day, Lukas loses control during an altercation with a client and ends up in jail, while his daughter is taken away from him. Things take an unexpected turn when Interpol recruits Lukas to bring down a Dutch ringleader operating from Belgium in exchange for his daughter's custody. Directed by Julien Leclercq (The Assault, The Crew) and charged with intense action, The Bouncer is a must-see for fans of tough, gritty cinema that pulls no punches.